Referencing the natural world, and forms such seedpods, flowers and seashore finds, Shimara Carlow has crafted a delightful collection of wedding and engagement rings. 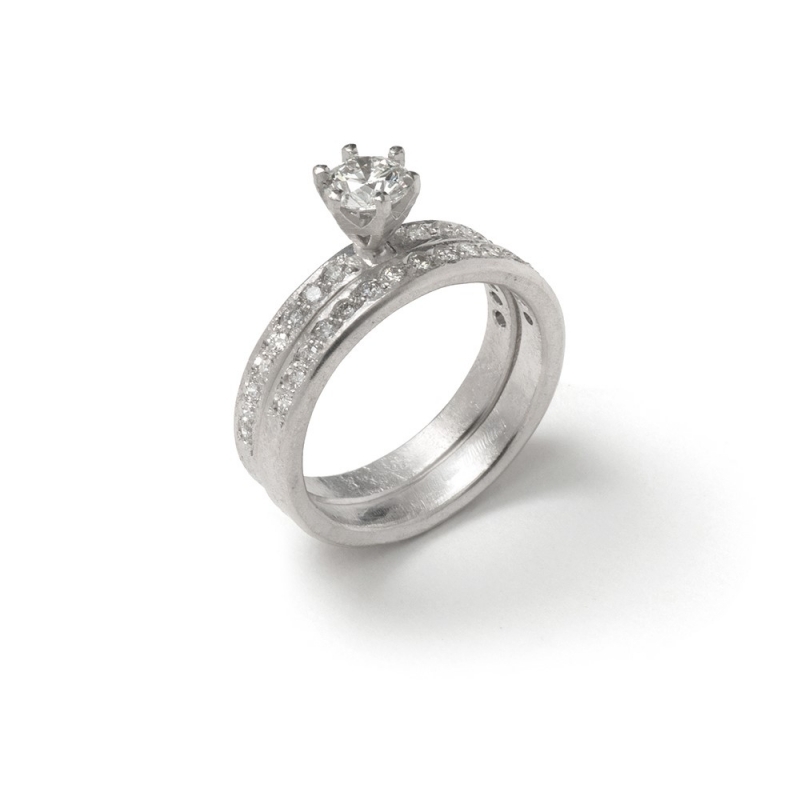 This beautifully elegant solitaire ring is hand textured and formed from 18ct gold. Claw set with a round brilliant cut diamond, this ring also features 10 round brilliant cut diamonds, grain set on the shoulders. 18ct white gold with 0.23ct of diamonds, centre stone is .18ct ( 3.6mm ). This ring is available in a variety of sizes which are made to order. Please contact us at sales@eclecticartisans.com if you would like this ring made in a size not listed.